The above quote was made during a conversation I had with Nick Bollettieri in the early 1990s. It made an impression on me because Wimbledon has been on my list of things to do for years but his comment made it more of a challenge and I knew if I ever had the opportunity, I would have to jump at it. Everyone in my family liked to play tennis so I started when I was young. I think my Dad had visions of the next Chris Evert but that wasn’t meant to be. I’m thankful he got me out on the court though because to this day it’s my favorite form of exercise. Just need to play more often. 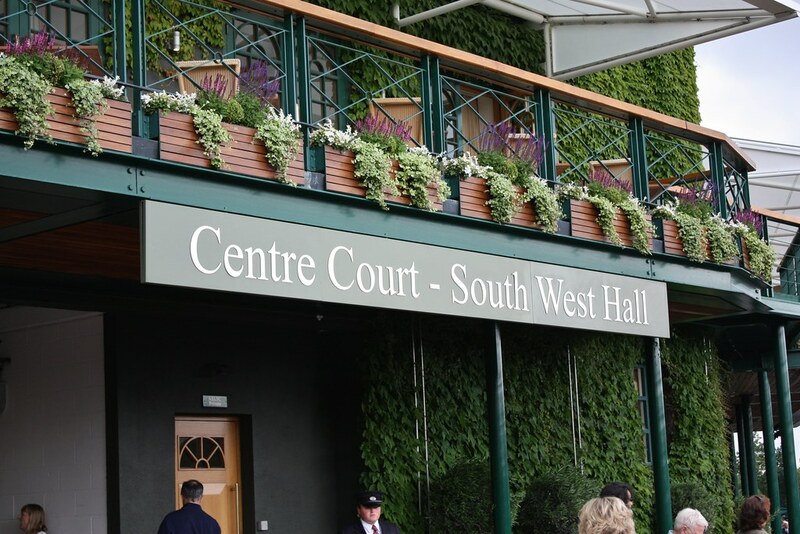 As a child, I remember watching the big tournaments on TV with my mom and dad so actually going to Wimbledon has been on my “must do” list for years. 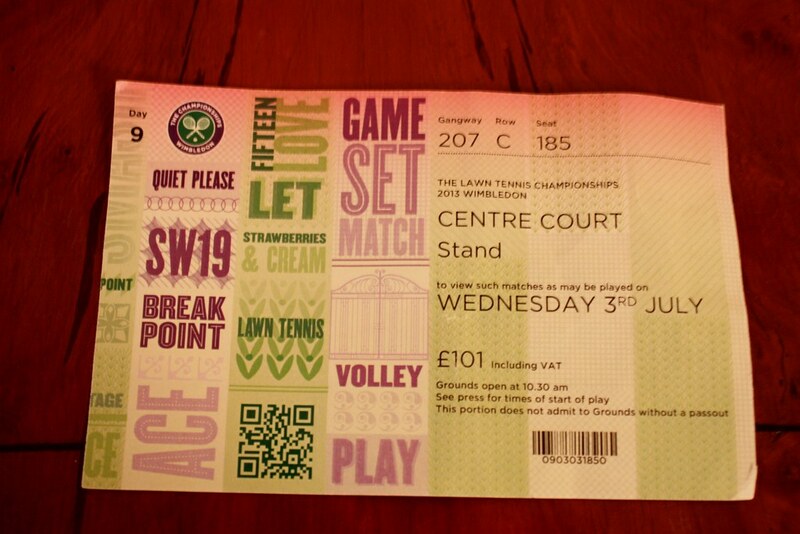 One of the first things I did when I moved to London was enter the lottery for tickets to Wimbledon. Sadly, no response from them. 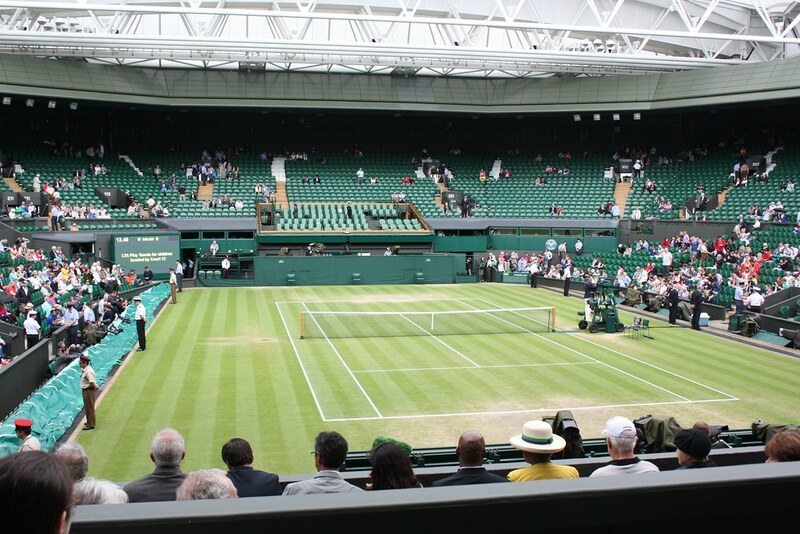 BUT we were lucky enough to get tickets through a friend for the Men’s Quarter finals on Centre Court! And, yes I’m bruised from pinching myself to make sure it’s real! My Golden Ticket. I know how Charlie felt going into the Chocolate Factory! 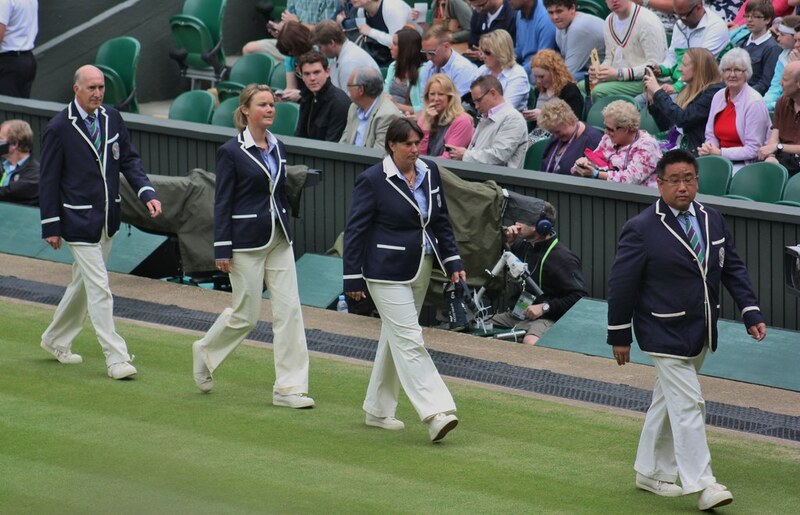 Instead of Candy ~ I got to see fabulous tennis. View from our seats ~ my big fear was getting caught on camera blowing my nose or something like that. Literally, less than four minutes into the 1st match Del Potro was down with a knee problem. He rallied to come back and win. I was cheering for Ferrer,the Spanish player. The second match of the day was Fernando Verdasco against Andy Murray. 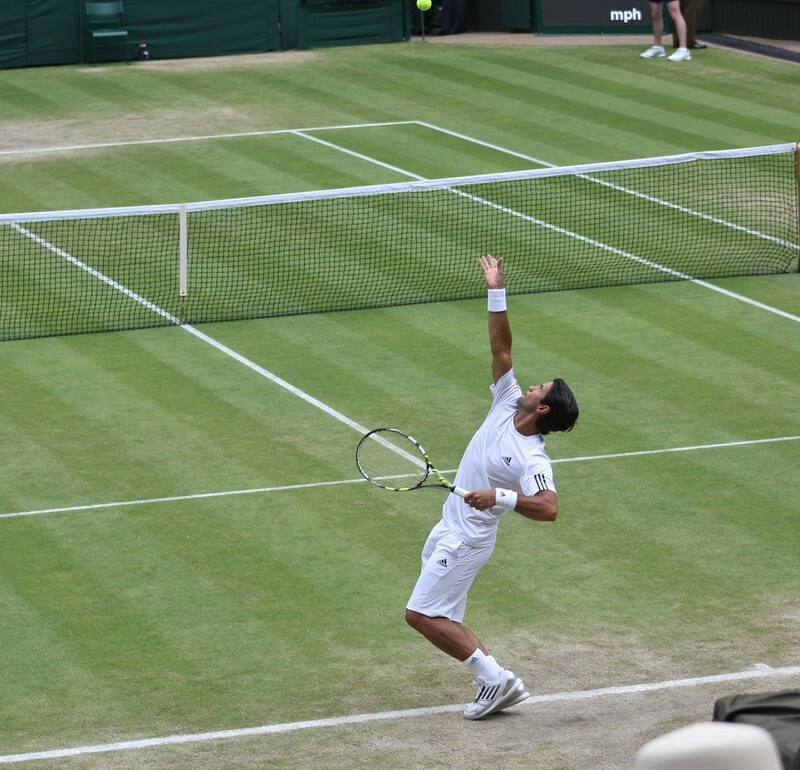 Verdasco is an incredible tennis player (One of his serves was calculated at 139 mph) and he gave Andy a run for it by winning the first two sets. Andy Murray is lucky the crowd was so encouraging and cheering for him because I don’t think he would have won otherwise ~ he seemed to feed off of the crowd. Hopefully he’ll go on to win his first Wimbledon trophy this weekend and be the first Brit to win Wimbledon since Fred Perry in 1936. It’s going to be party-time in the UK come Sunday if he wins! I only took photos during the warm up session. 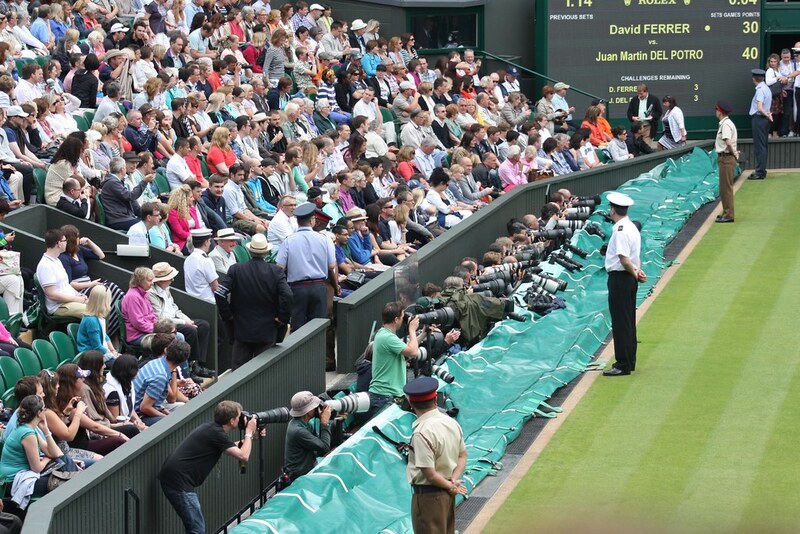 Someone took a photo at eye level right when Andy Murray was serving a crucial point and the flash went off. Oh, my ~ if looks could kill. Of course there was media everywhere! 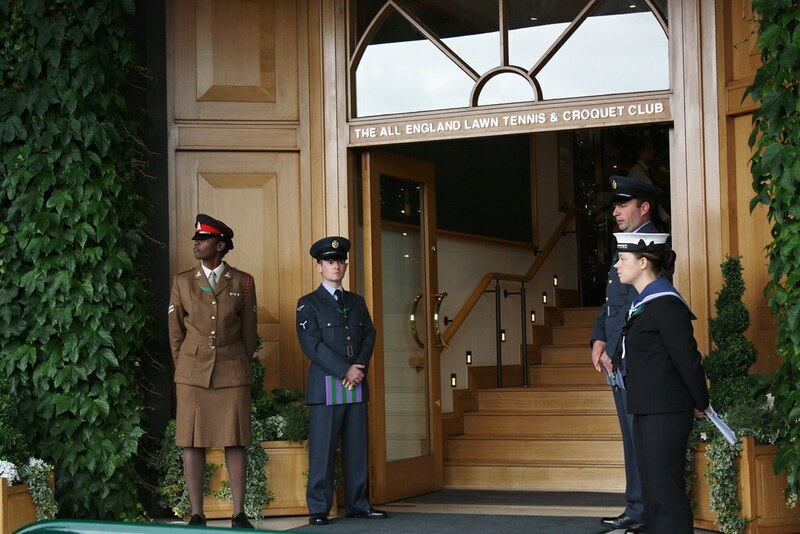 Wimbledon is definitely going down as a top highlight of our time here in London! Now on to the rest of our must do list…only a few weeks to go before we move back to the states. 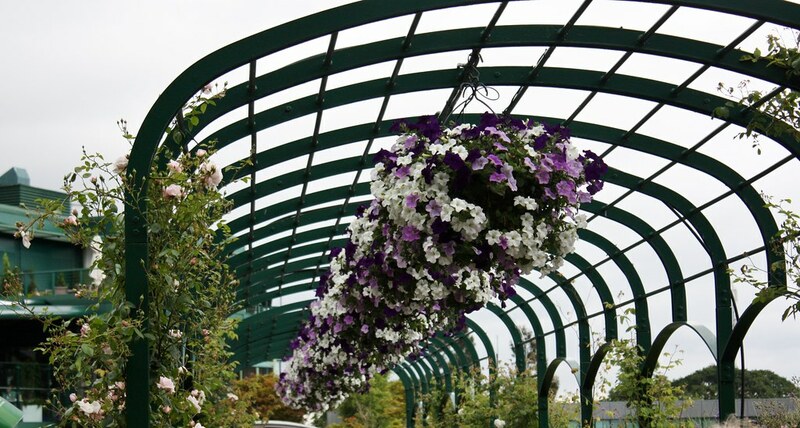 Just checking in …hoping all is well and that you are just too busy to blog! Thanks for checking in. All is well just been so busy with our move from London back to Northern Virginia. Things are finally starting to settle down and I’m anxious to start blogging about the DC area as well as my other travels. Welcome back to the States! NOVA, huh? My sister still lives there; the rest of us moved on after Daddy left the Pentagon. I’ll look forward to reading about your adventures! 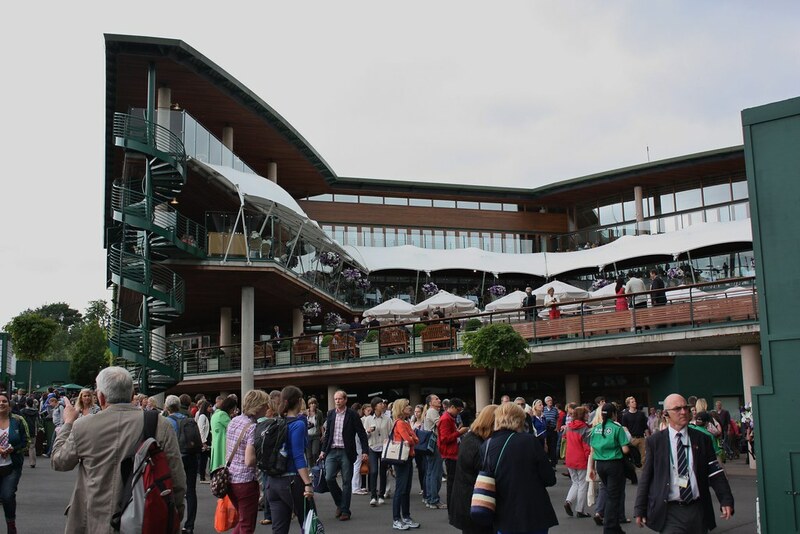 what a great place to be, with all the excitement and buzz that is Wimbledon! on Wednesday, 10 July, 2013 at 9:23 pm | Reply Jimmy vs. World! 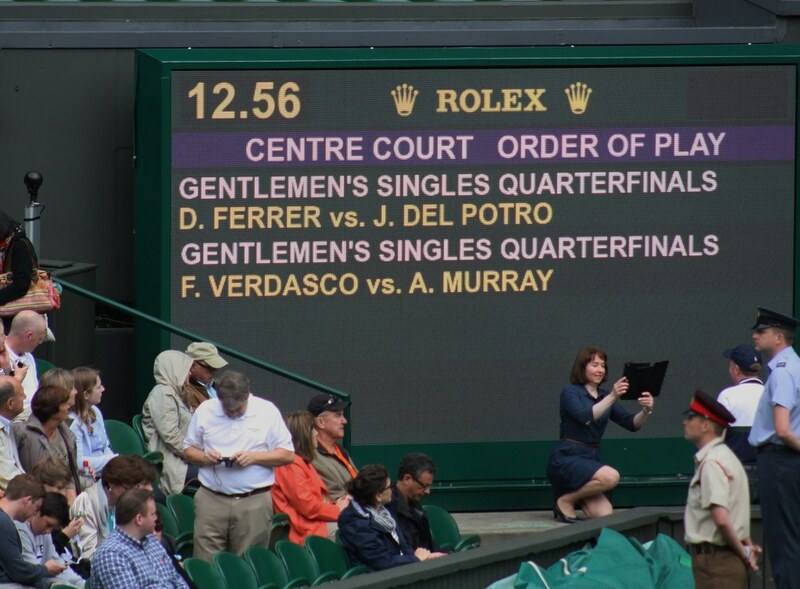 I’ve never been to a professional tennis match but this post has certainly put it on my to-do list! It’s made me want to go to more professional matches as well ~ it was a lot of fun and very exciting. You are living the dream my friend…good for you!! Images are fantastic. What a fantastic experience! I would have been drinking in the sights and sounds! Love your photos! 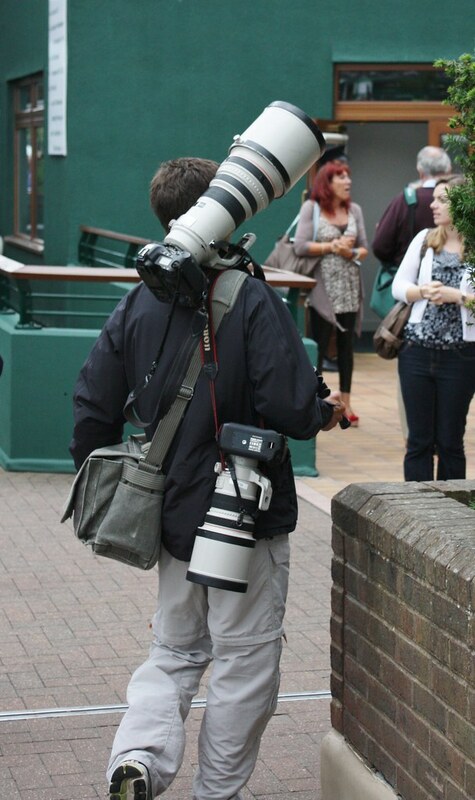 The picture of the guy with the two large cameras … wonder how much one of those weighs! So, you only have a few weeks left. What’s on the to do list??? woww!! U r getting me jealous! Kudos to you for making one of your dreams a reality… or I guess it should be classified as a goal. I’m looking forward to seeing what else you have on that “must do” list! Thanks for the nice comment. One the big “must do” travel list is a trip to the Galapagos Islands. Will have to start planning (and saving) for that one!